There is no secret our Founder and Editor in Chief is a fan and supporter of the Il Borro Franchise. When the Dubai Division of the Tuscan Bistro celebrated its first anniversary on January 10th, 2018 there was nowhere else The Pemberley wanted to be but to celebrate with friends for their amazing accomplishment for the concept that is Il Borro Tuscan Bistro Dubai. In attendance was of course our dear friend Piero Giglio, and the always elegant Salvatore and Vittoria Ferragamo representing their father, Ferruccio Ferragamo. A delicious press lunch toasting to the many achievements of the year and later, the party flowed with champagne and we were graced by the presence of the Alma Chula band who got all our feet moving! 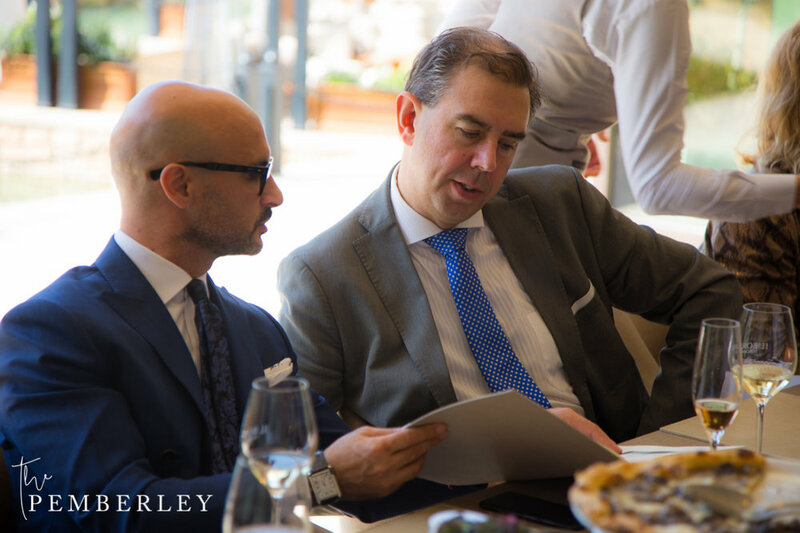 Below is our conversation with the head of the Il Borro Dynasty, Ferruccio Ferragamo, speaking on how the exciting year has progressed and where Il Borro is headed. The Pemberley: This must be an exciting moment for you. To watch your brand grow internationally must give you tremendous satisfaction. Could you ever have imagined this for Tuscan Bistro? 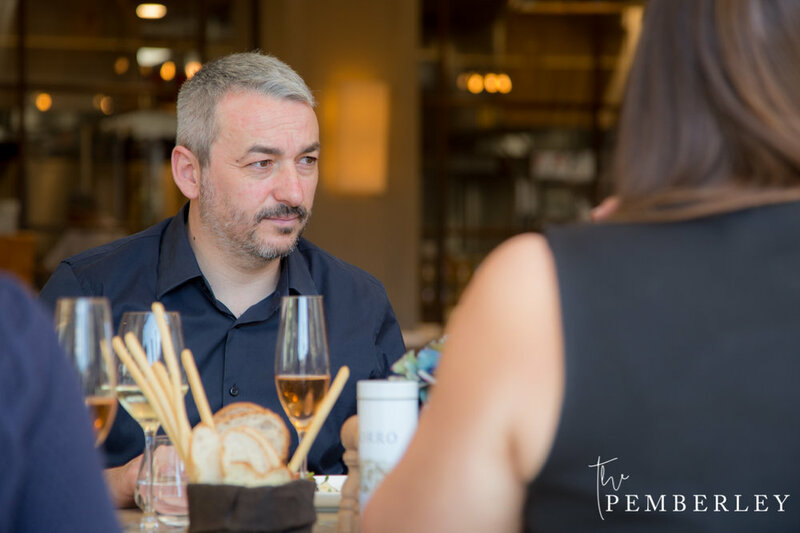 Ferruccio Ferragamo: The success of Tuscan Bistro of Dubai is beyond expectations, we consider ourselves very fortunate to have found a partner like Orange Group that has captured the spirit of the Tuscan cuisine according to our chef of Il Borro Tuscan Bistro, Andrea Campani. The Pemberley: Whose idea was it to open The Tuscan Bistro in Italy? How did the Italian restaurant at Il Borro and along the river Arno evolve into the franchise that we are seeing grow today? FF: This is a decision that as a family we felt this incredible value in incredible selection of the quality of raw materials, of the ingredients of the tuscan cuisine, so as a family we decided to develop a concept could be replicated also outside Italy. Our evolution has always been with a principle and philosophy to not compromise the impeccable quality of the tuscan ingredients and we feel this is the heart of the success of Il Borro tuscan cuisine. Il Borro Tuscan Bistro is not only a restaurant, but it is a unique concept of authenticity as it’s a farm-to-table philosophy that today I feel is the new frontier for authentic dining. The Pemberley: Tuscan Bistro in Dubai is considerably different that it’s Florentine counterpart. What are the major differences in your eyes? What are the major similarities? And does this branch carry on the Il Borro legacy? The Ferragamo legacy? FF: As for the Ferragamo legacy also for Il Borro Tuscan Bistro is a question of concentrating on quality, details and service. The Pemberley: Are there plans to expand Il Borro outside of this franchise? Will we soon see an Il Borro London or an Osteria del Borro New York? FF: Absolutely yes, but another very important element in expanding restaurants concept like Il Borro is location so we will expand only once we find the ideal location. The Pemberley: How involved will you be in the growth of this franchise? Will your wines be present at all these locations? FF: I oversee all decisions of new locations of course with a very strong team starting from the team of Il Borro and existing partners or new partners that we will found out. The Pemberley: Will Andrea Campani play role? FF: Absolutely, Andrea Campani is our executive chef of all Il Borro Tuscan Bistro concepts. The Pemberley: This is a restaurant that has already won a lot of awards. Can you tell us about these crowning moments? FF: It’s been a year full of success for the awards achieved, but also great satisfaction from making our mark in such a competitive, international market with the simplicity and wholesome flavours of our cuisine. We can’t wait to meet all our new guests and those dear friends who keep coming back to see us. The Pemberley: The Michelin Guide is planning on expanding its reviewed restaurants to include establishments in Dubai. Do you think there is the potential for a star here? FF: I would not exclude the potential of also reaching a star. Of course, this have been a fantastic year full of very important awards, but we also must realize that maybe this year is the most important year because we must maintain the level of quality and service and at the same time focusing on new openings or new expansions. The Pemberley: In the 1950’s the McDonald brothers saw their franchise associate outshine and eventually buy out the original hamburger shop in San Bernardino. Is there any concern that the same could happen here? Or is this a team effort where everybody wins? FF: We believe in team effort that is of course very as always been the heart of our philosophy and of our more successful initiatives. So, I would like to think that we will not encounter those types of problems. The Pemberley: How did you meet Omar and how did the idea for the franchise come up? What is your connection to Dubai? FF: We met Omar through a series of coincidences since we met Igor, Omar’s father in law who lives in Kazakhstan at the Vinitaly 2015 to introduce him to Il Borro wines to the Kazakhstan market. Following visit to the property and fortunately Igor’s son in law presence in Dubai we decided to try our first international expansion of Il Borro Tuscan Bistro concept outside of Italy. The Pemberley: Why Tuscan Bistro and not Osteria? FF: We feel that the success of the tuscan cuisine stands in its simplicity and Il Borro Tuscan Bistro philosophy is exactly this and for this reason we chose this concept to replicate internationally. While instead Osteria del Borro is more a gourmet restaurant ideal for a Relais Chateaux property like Il Borro. The Pemberley: Where do you see Tuscan Bistro headed in the next 10 years? Il Borro? Your wines? Your family? You? FF: In the next ten years I would expect to see an expansion of another seven Tuscan Bistro restaurants in the major international cities of the world. I will see my role as it is today as chairman of Il Borro and I don’t foresee any changes of the team of Il Borro. At the same time, I feel that the success of Il Borro Tuscan Bistros will also be reinforced by the growing success of our wines that since our transformation to organic farming has recently seen great interest from the market. The Pemberley: Thank you so much to the Il Borro team for an always amazing time.